An excellent example of a very popular Cayman model. 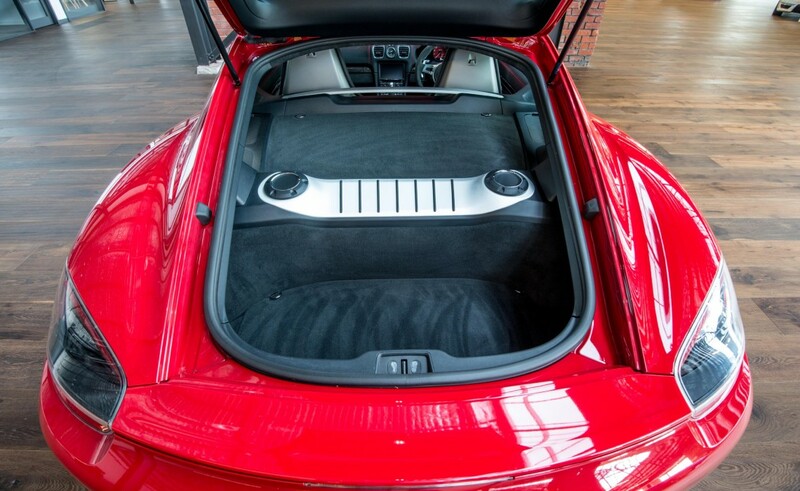 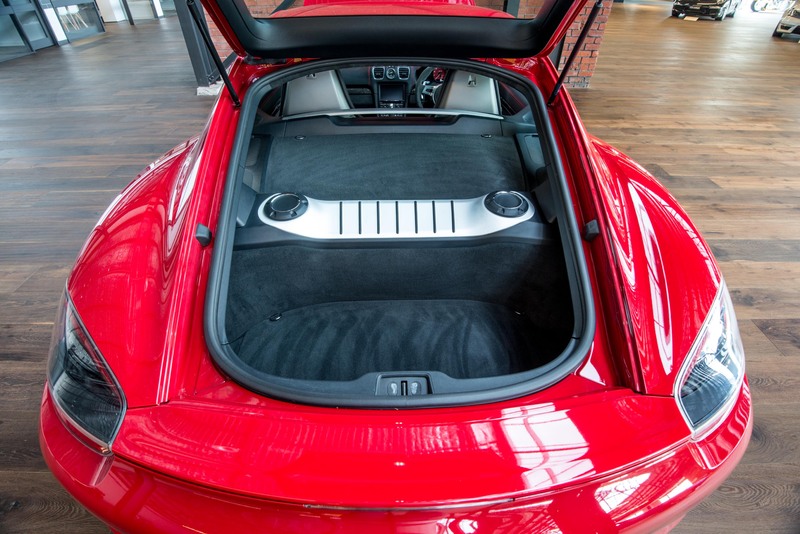 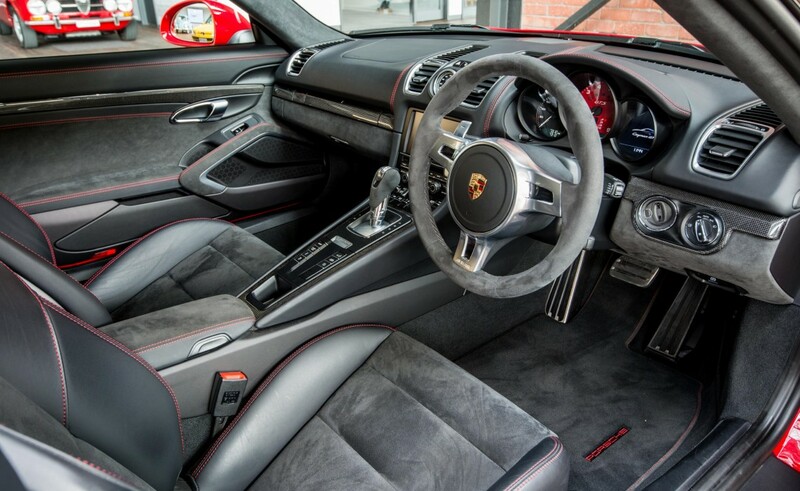 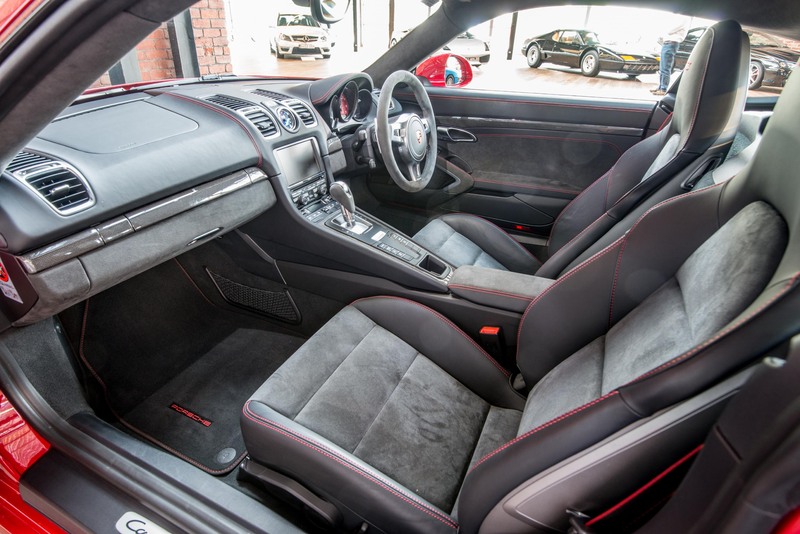 Carmine red with black Alcantara interior - Carmine is a special order colour - darker than guards red and also non-metallic. 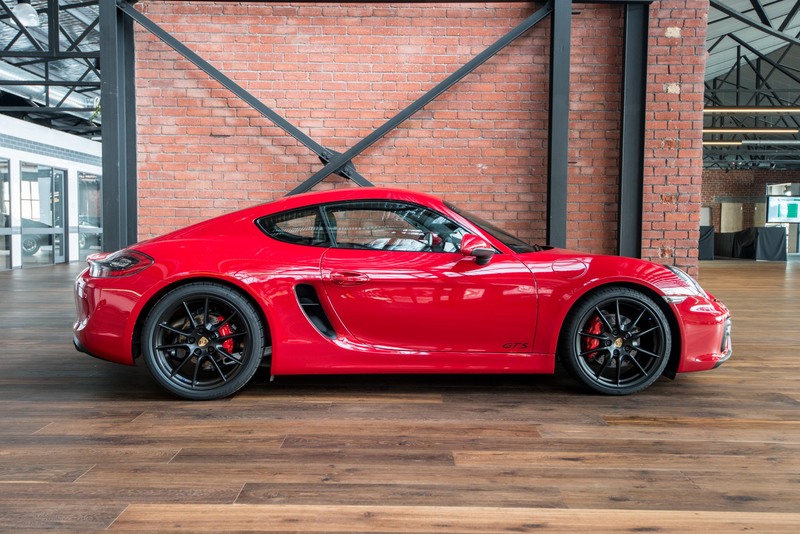 This excellent low-kilometre GTS has Sport Chrono Package Plus - this is a desirable sport option as it reduces the 0-100km/h time to 4.6 seconds. 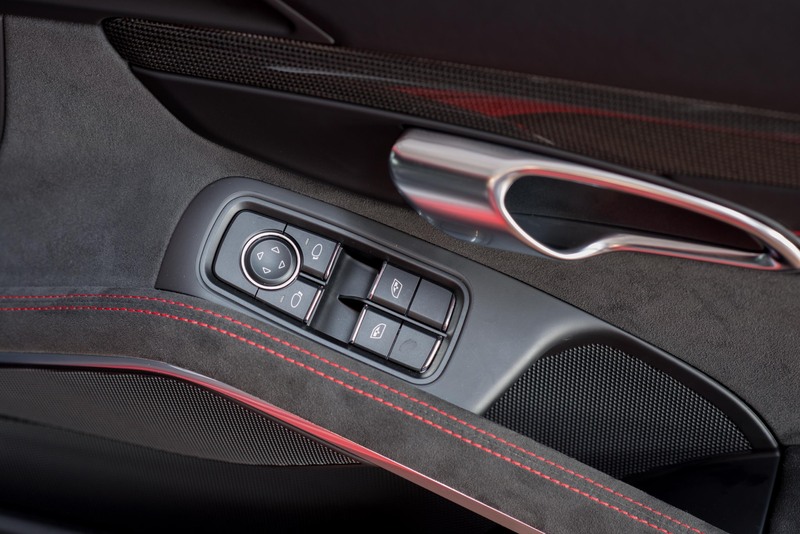 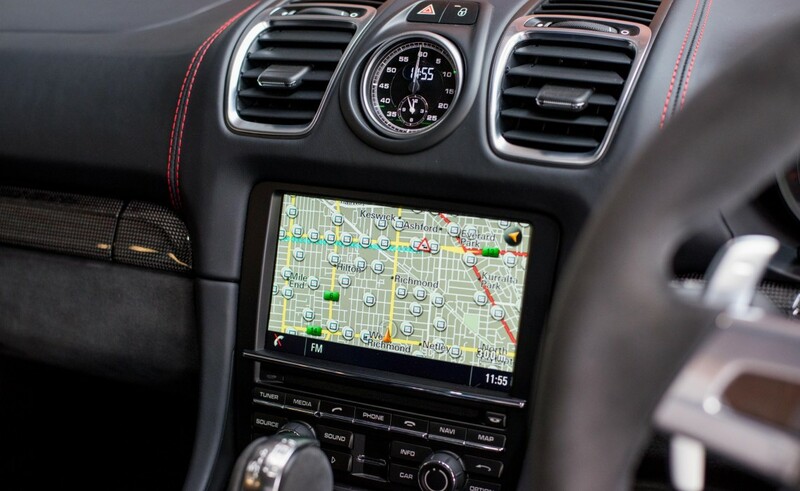 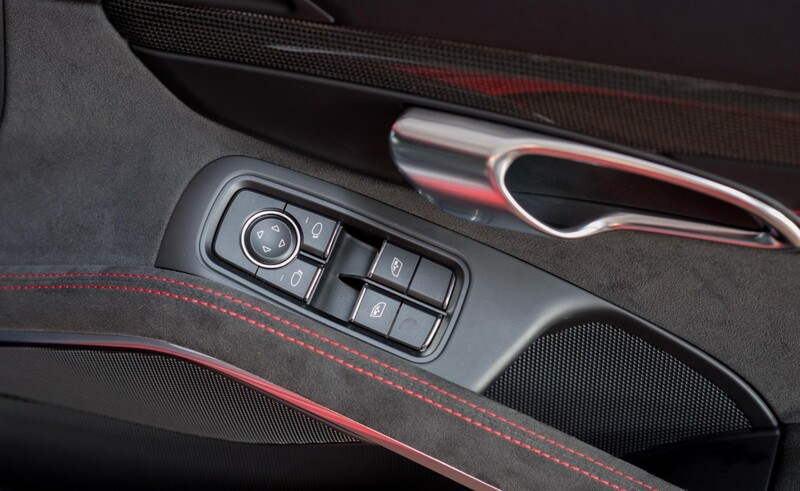 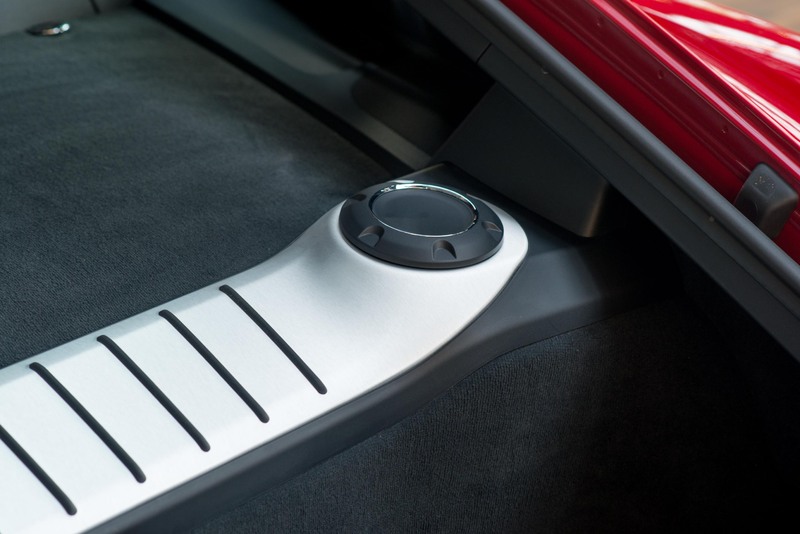 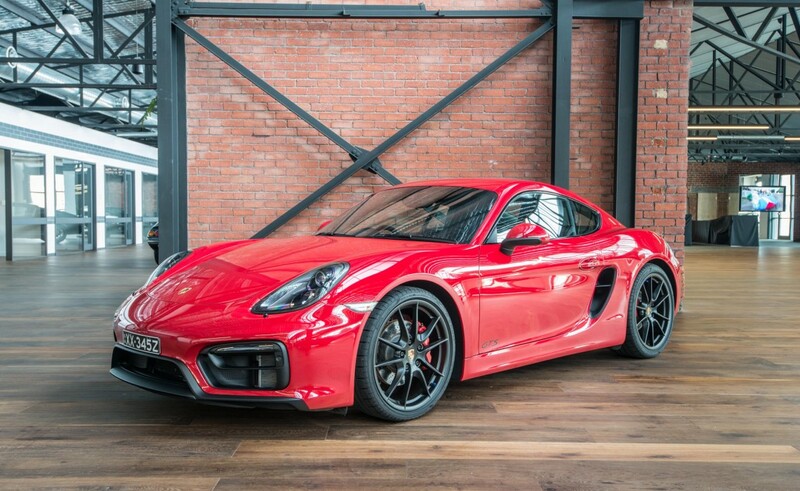 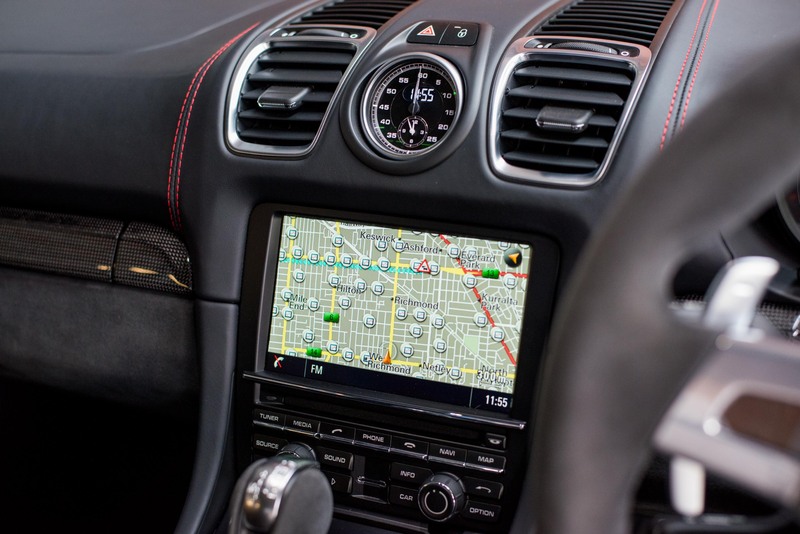 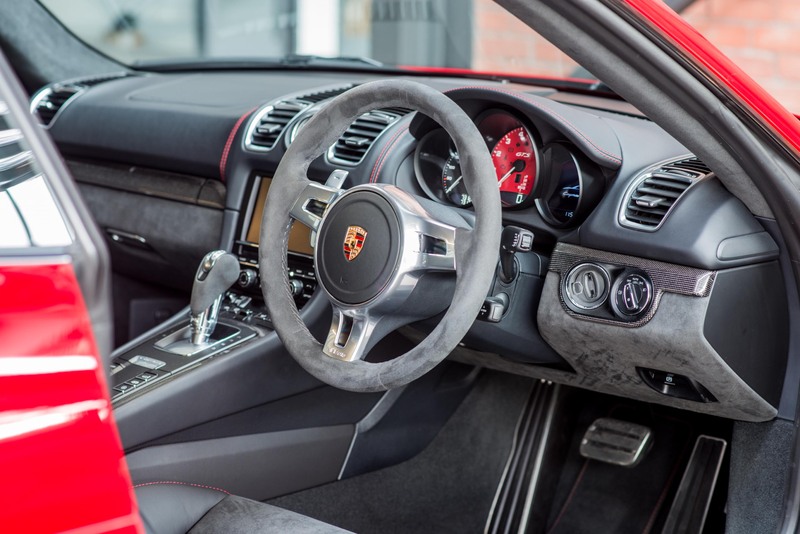 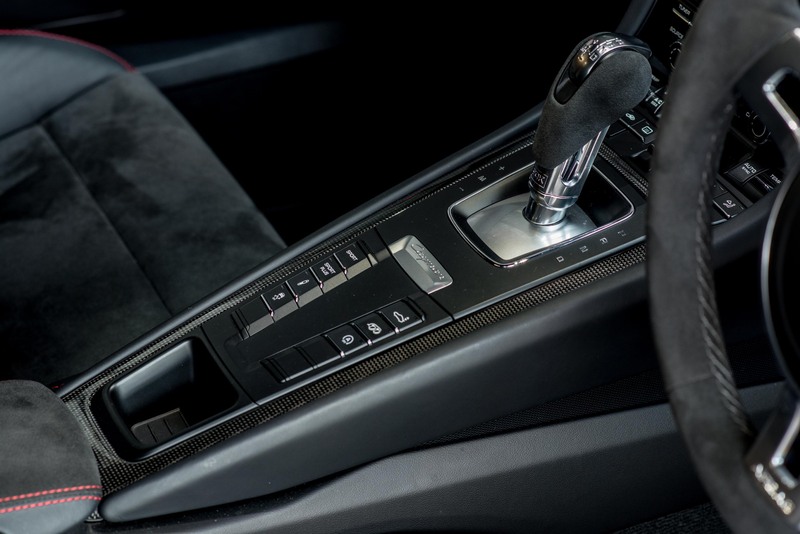 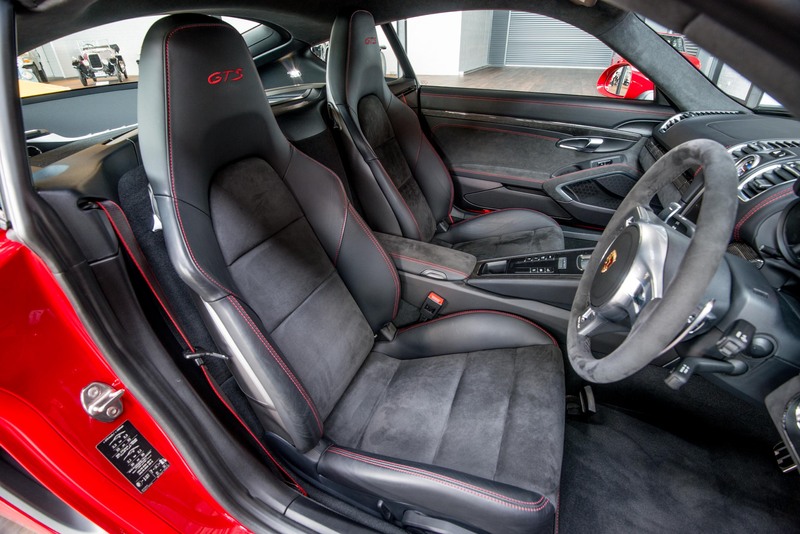 Other features and options include PDK double-clutch transmission (quicker than manual), PCM navigation, Bi-xenon and dynamic cornering lights(black), instrument cluster dials in Carmine red, GTS package interior, park assist front and rear and rims painted black (silky gloss). 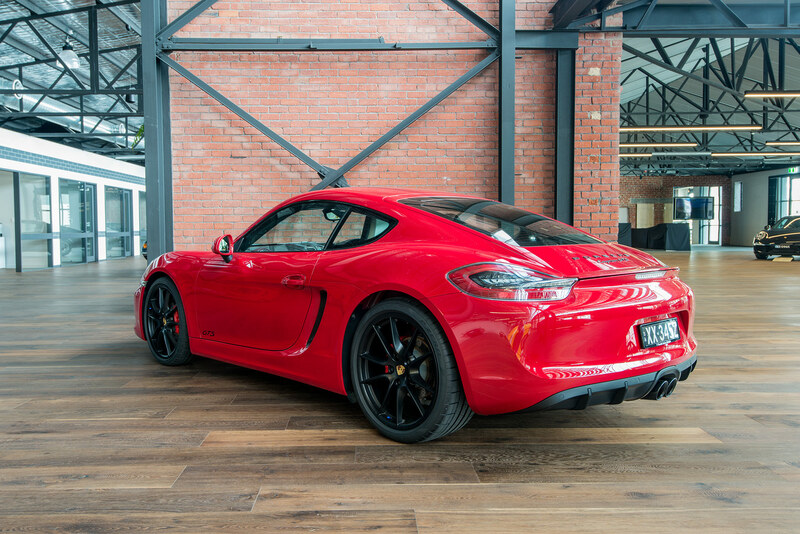 This GTS has been fully clear wrapped to provide the ultimate paint protection - this is easily removed in the future. Up to date Porsche Centre servicing 9/10/2017 at 7,321 km. 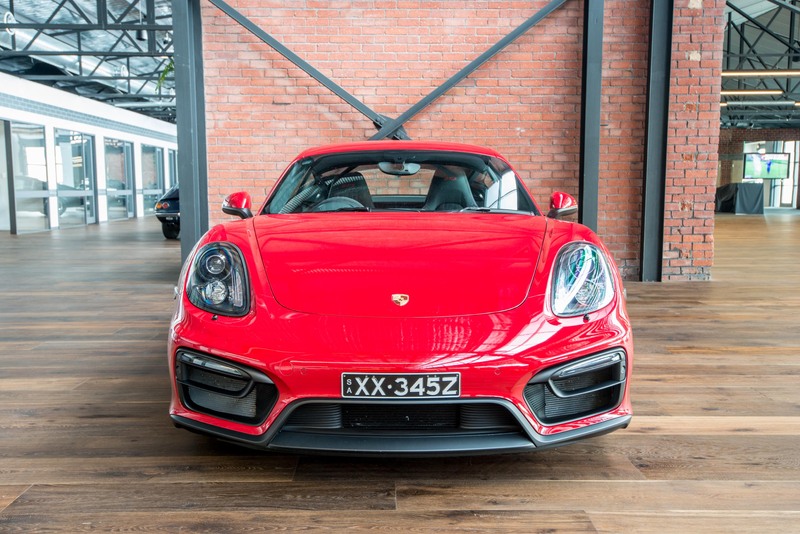 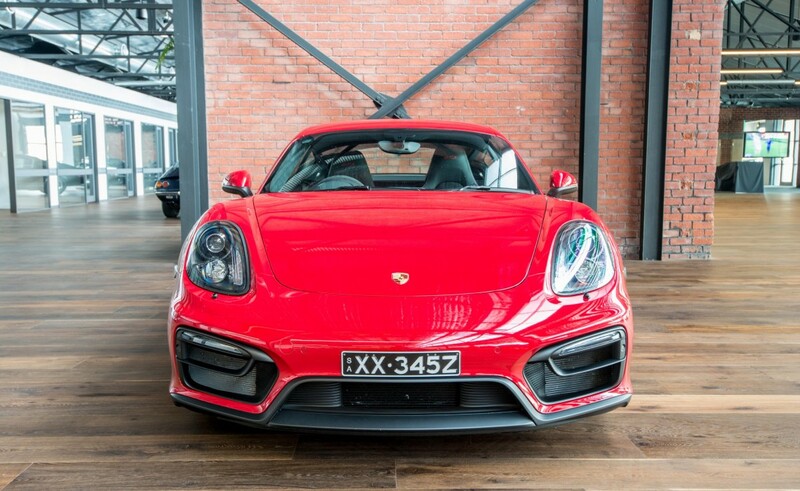 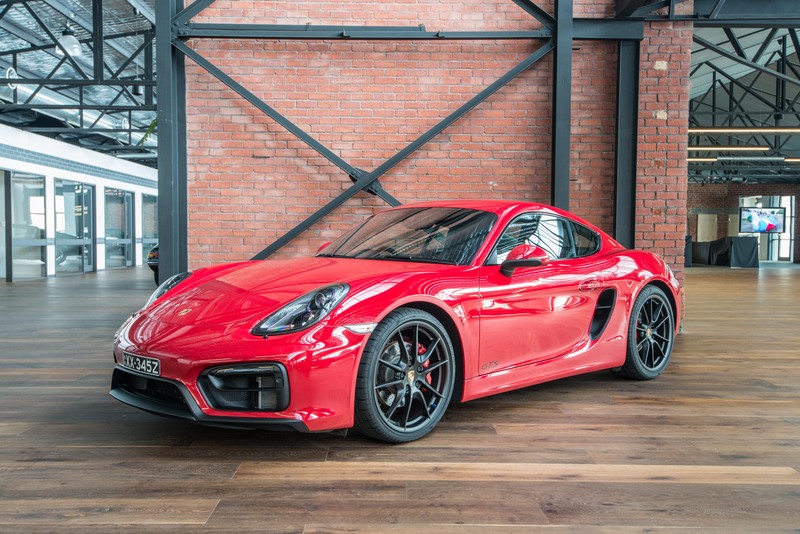 Porsche warranty to 15/1/2020 - extendable annually until 2024. 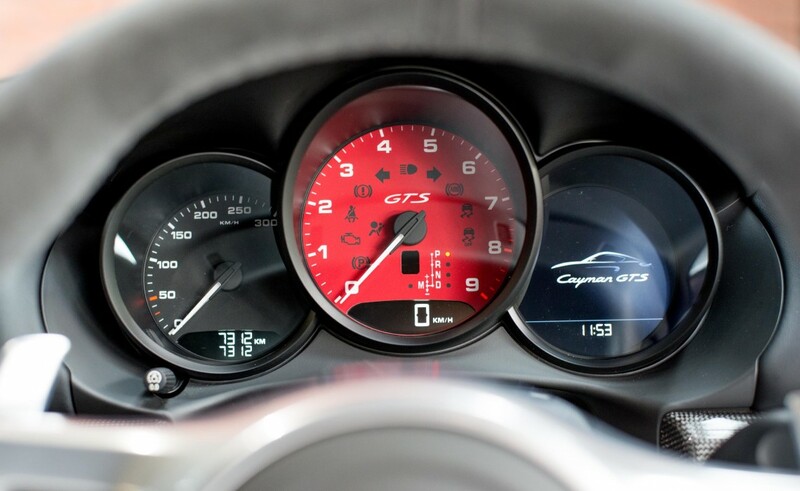 250kW / 340 bhp at 7400 rpm - maximum revs 7,800 rpm. 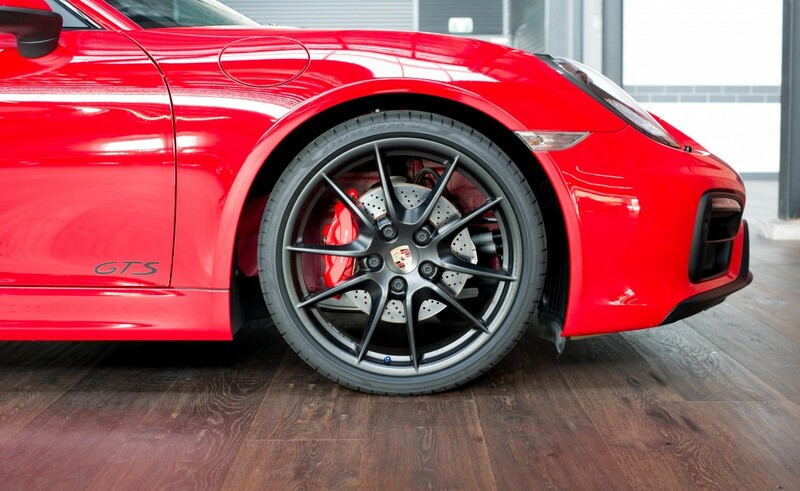 Bear in mind that Porsche builds sports cars which are easy to live with. 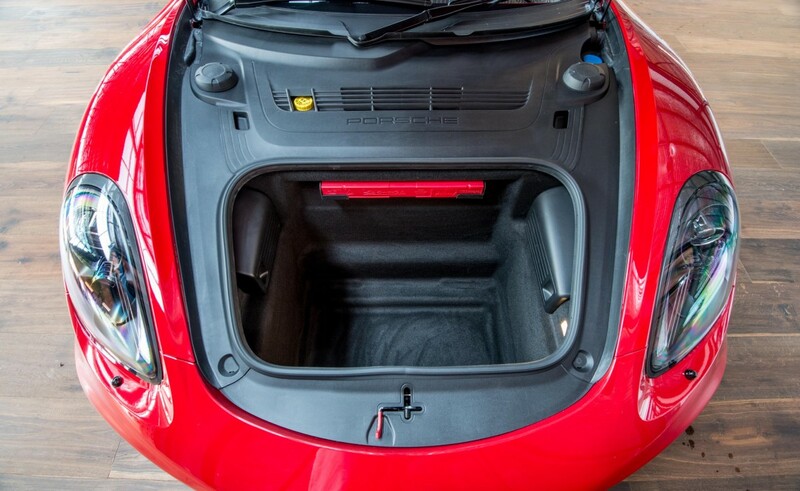 Daily commuting is a breeze, excellent luggage space both front and rear, easy to get in and out, reliable.... 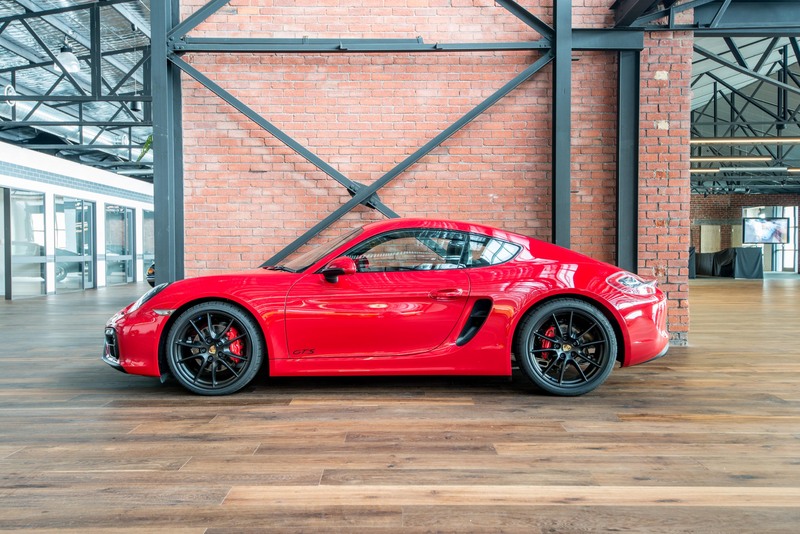 I don't think any manufacturer does it better. 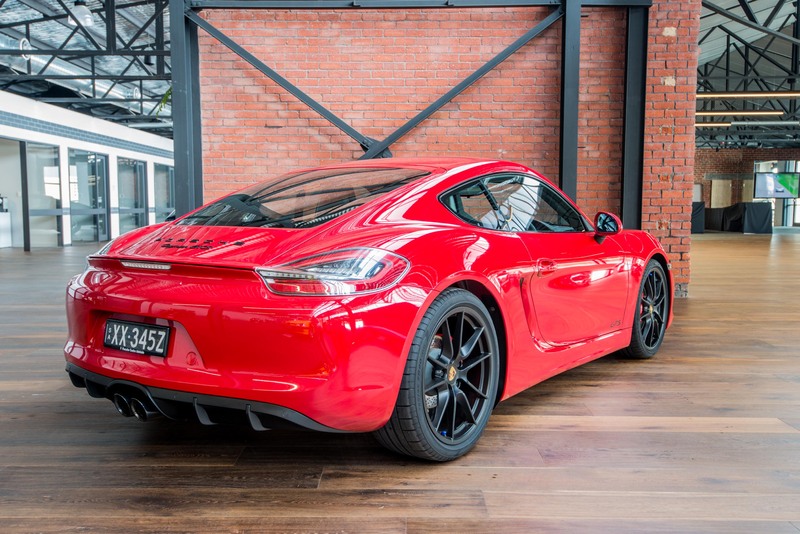 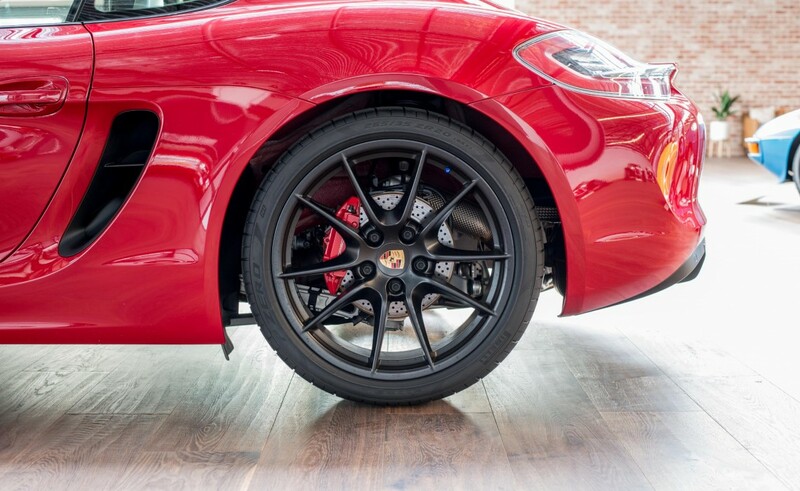 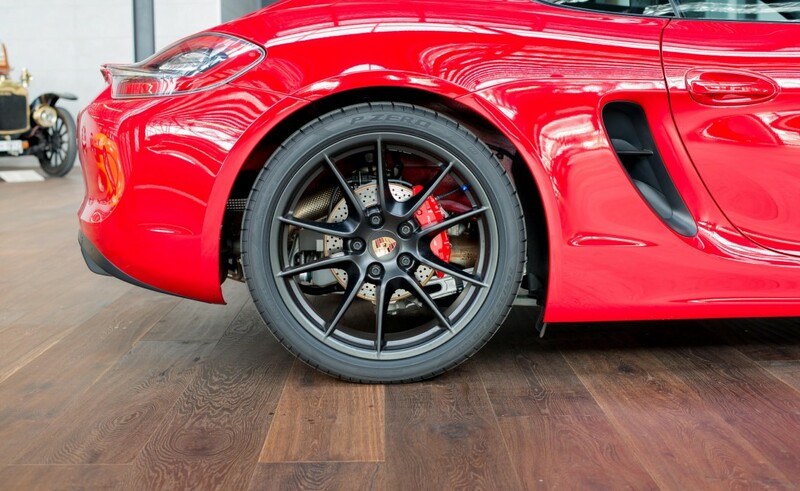 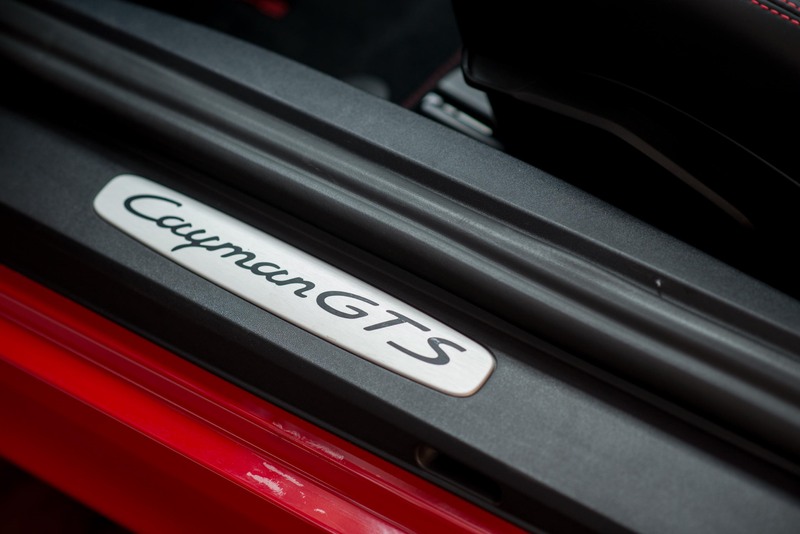 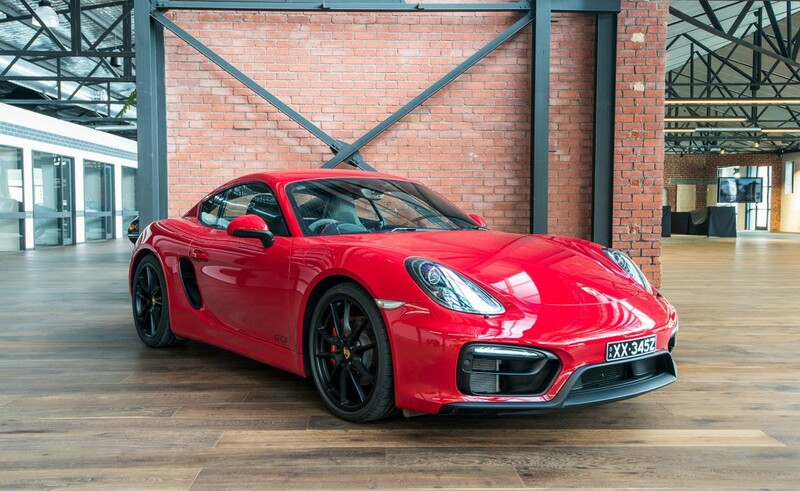 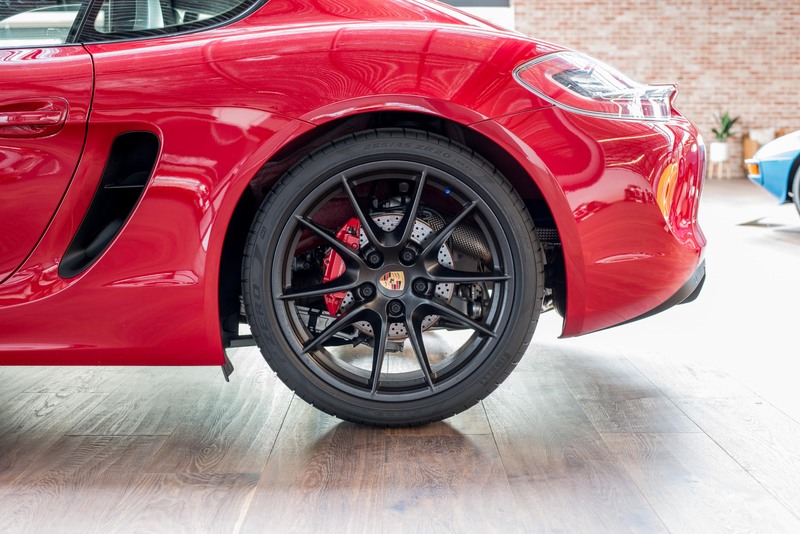 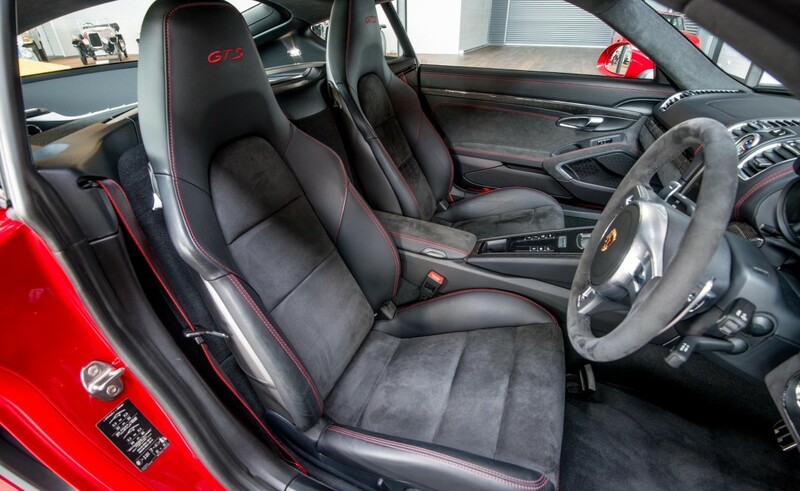 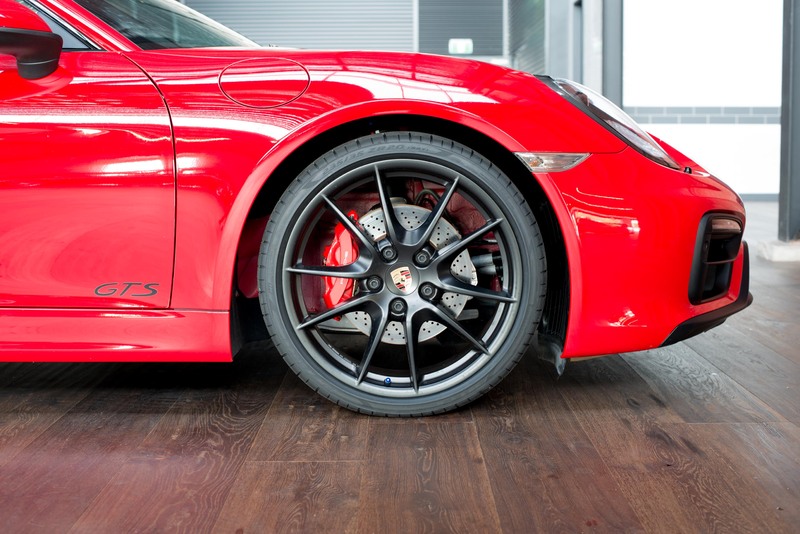 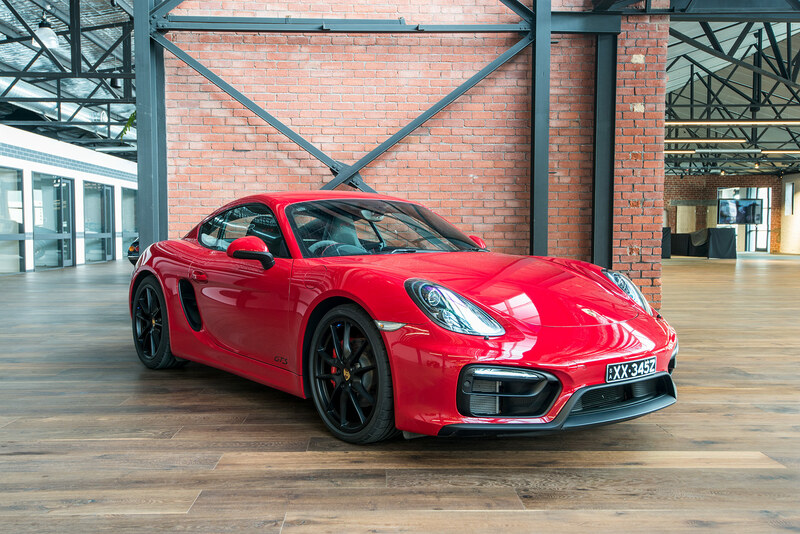 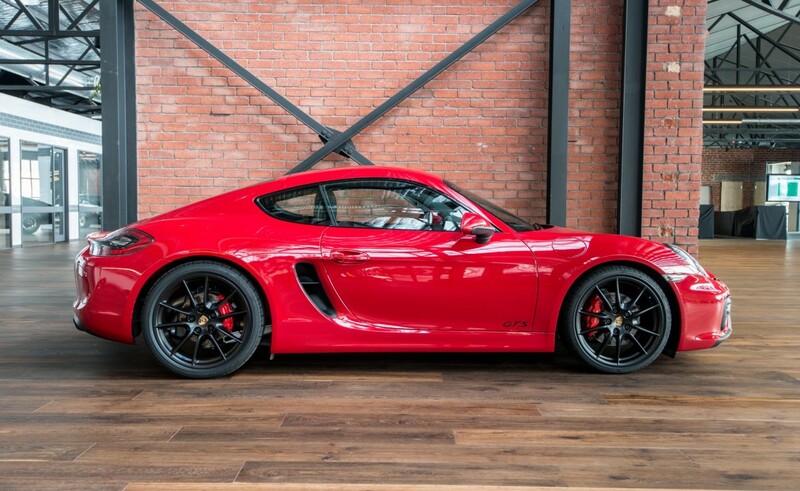 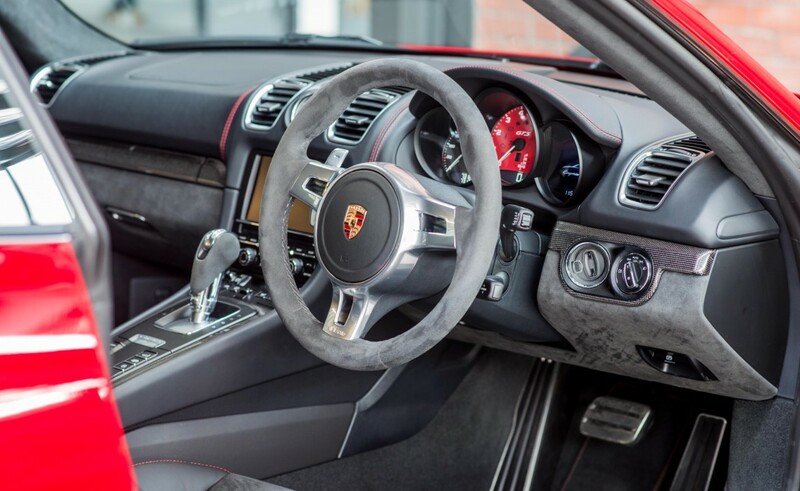 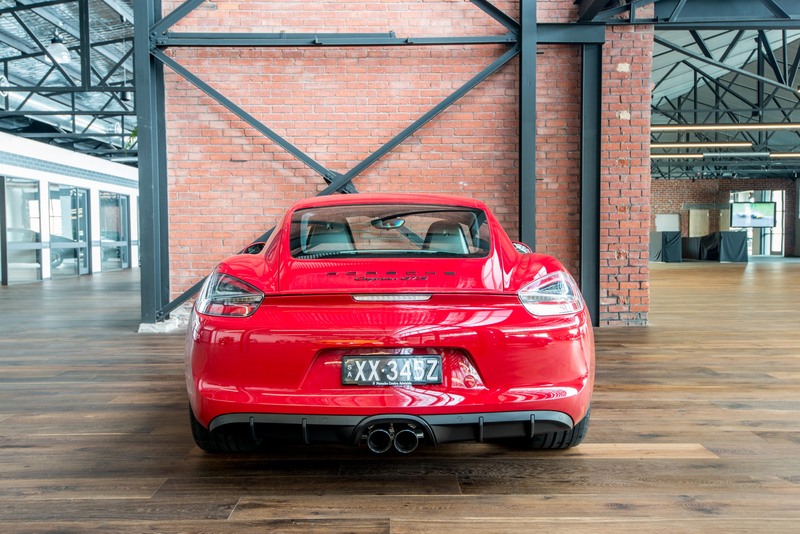 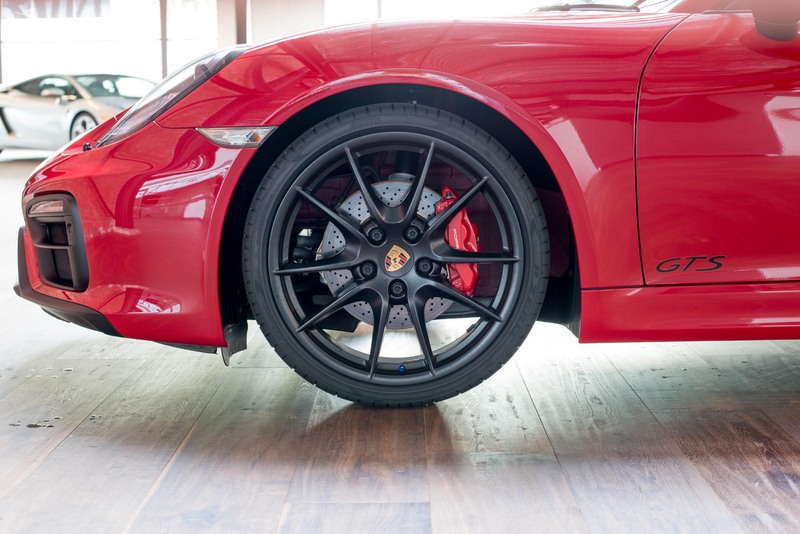 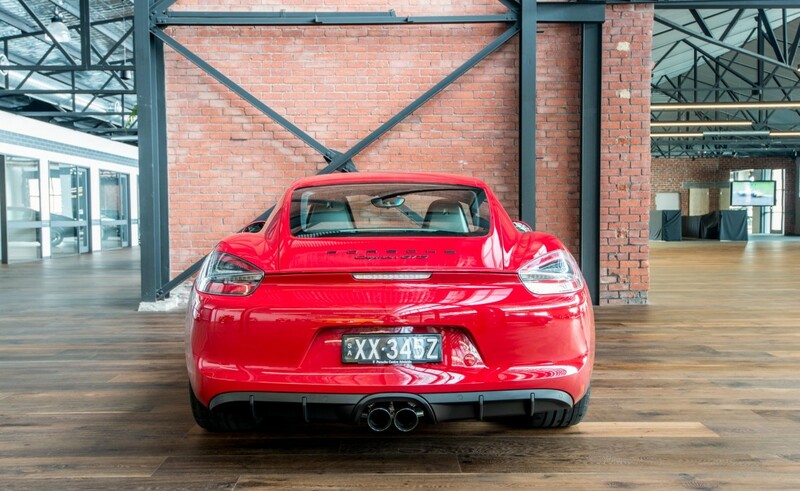 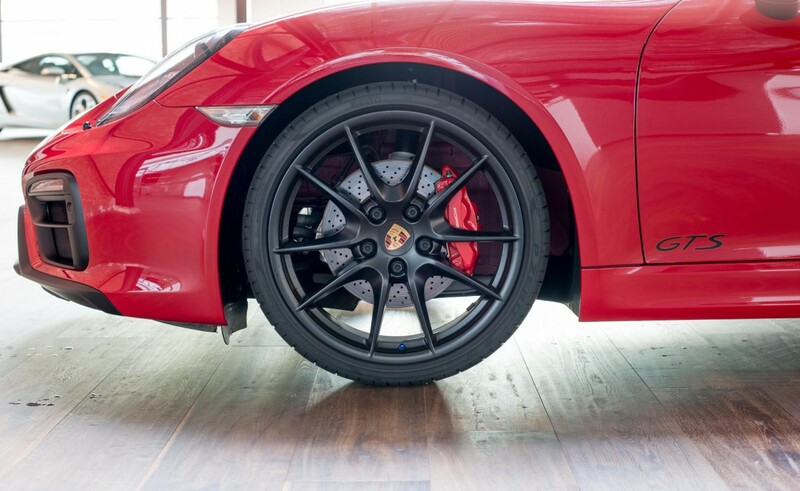 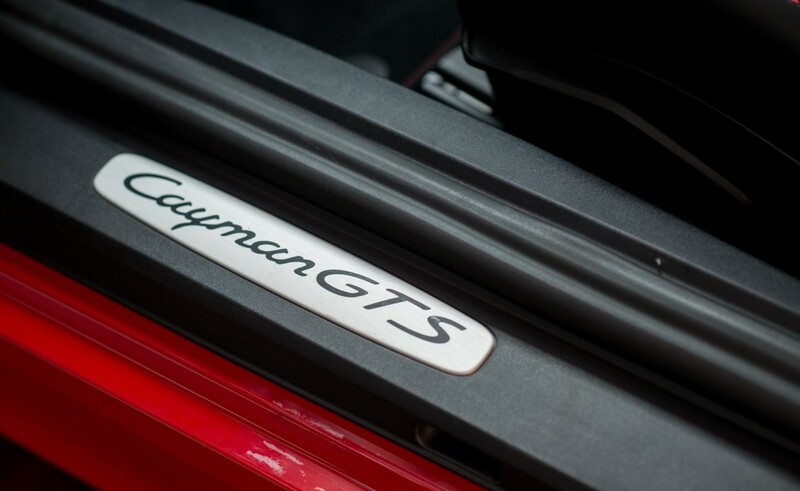 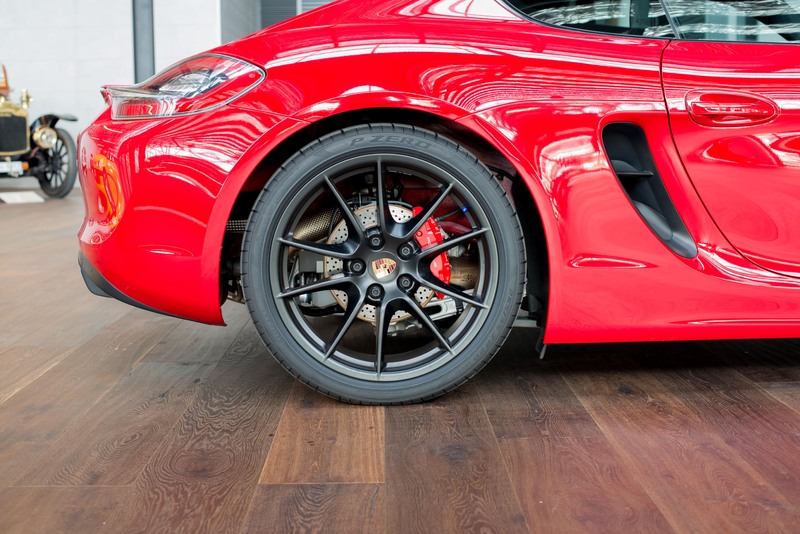 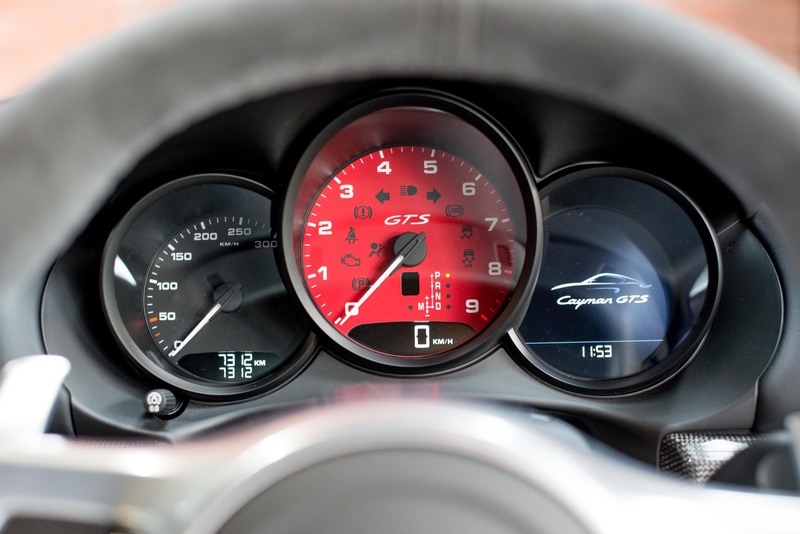 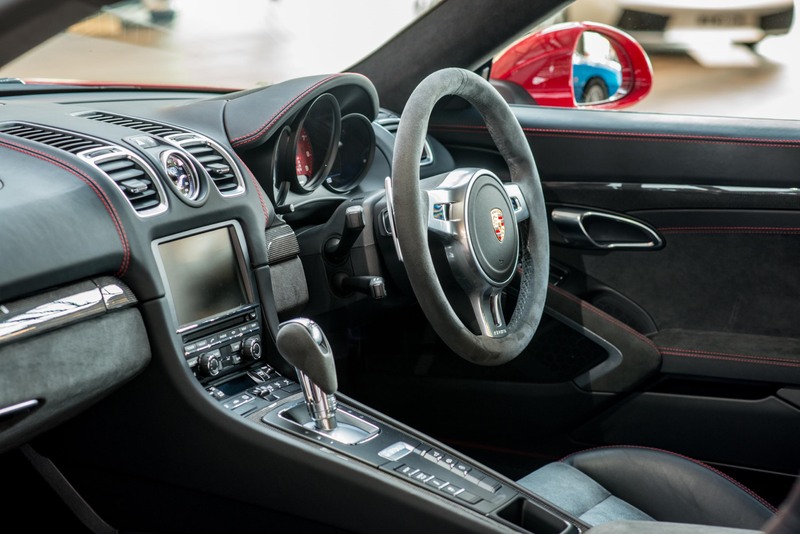 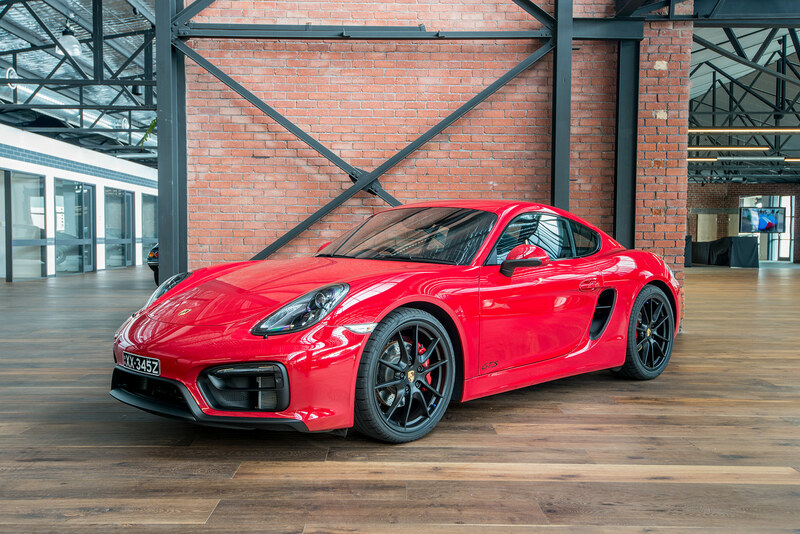 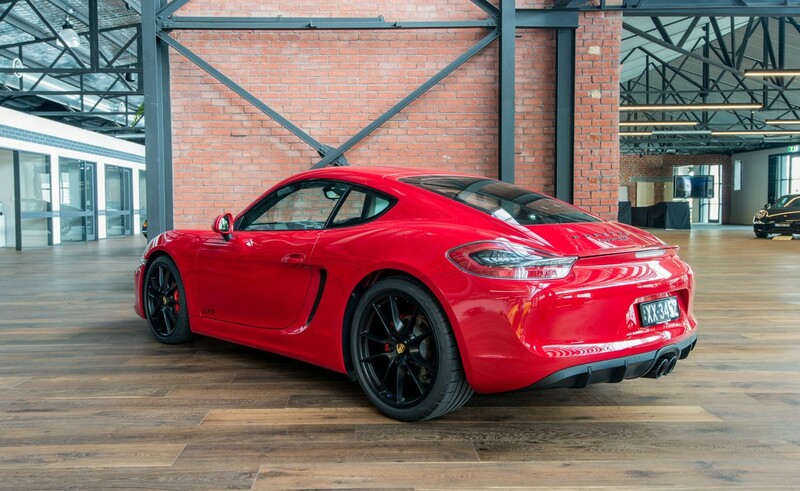 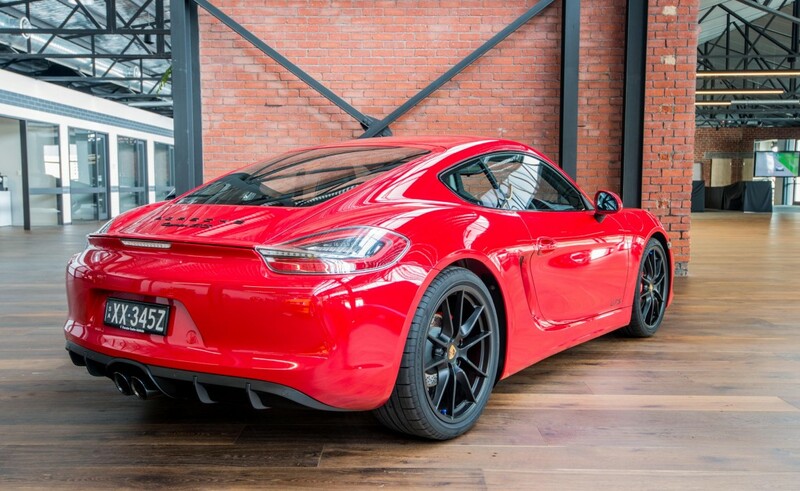 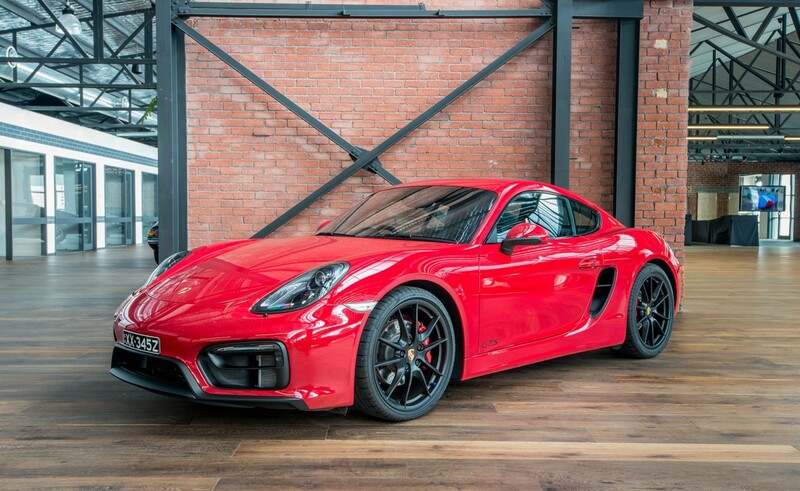 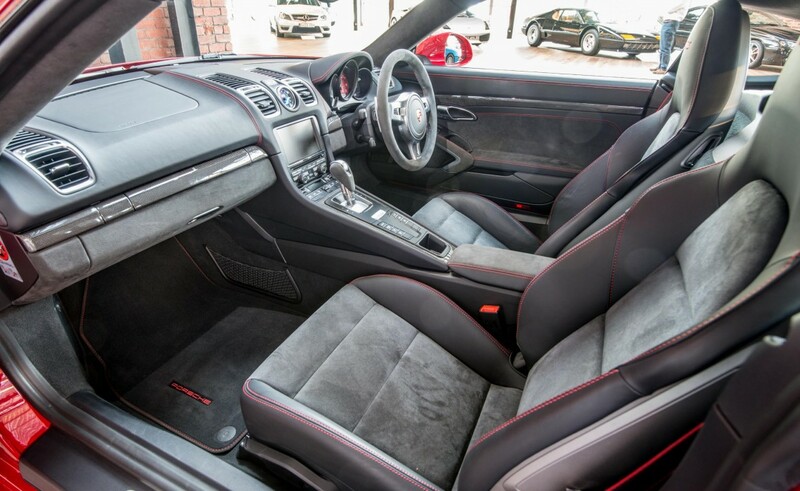 If you are considering a higher performance Cayman with PDK, the GTS is a great choice. 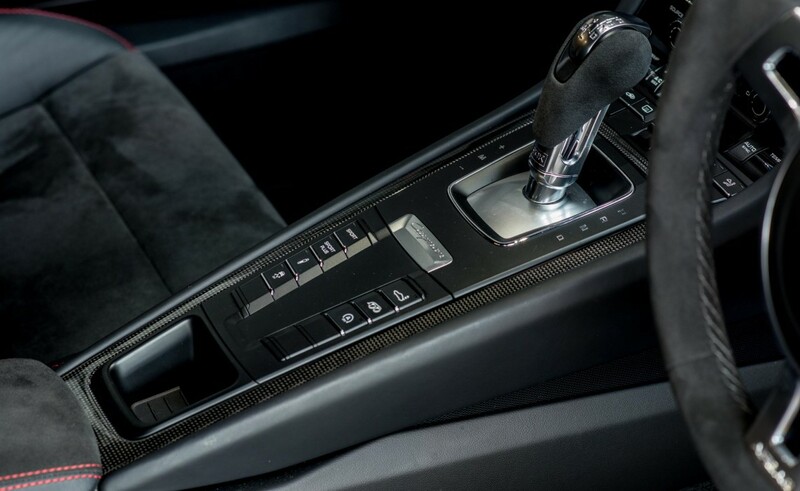 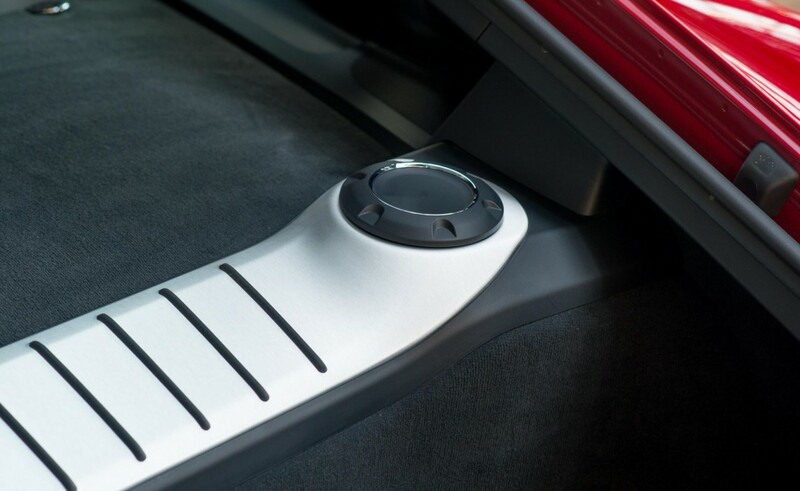 This is a 6-cylinder naturally-aspirated horizontally opposed engine which produces a superb howling sound when revved. 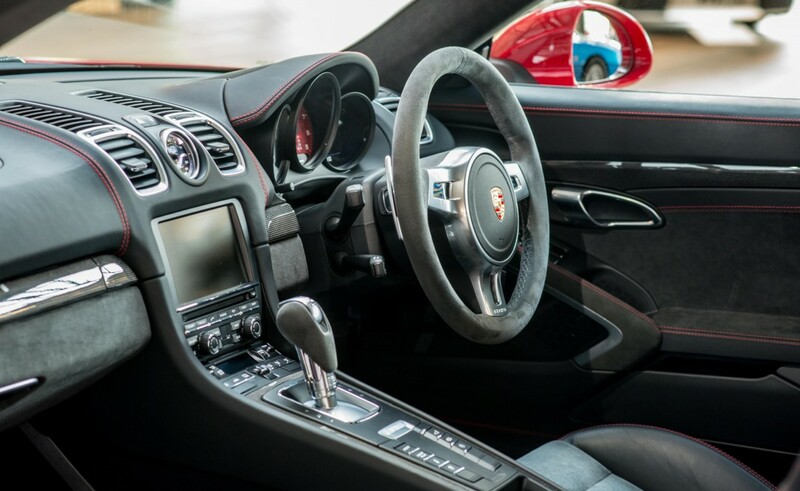 It is likely to remain high in the desirability stakes over time.